If you’ve been diagnosed with mesothelioma, you might want to consider enrolling in a mesothelioma clinical trial. With a number of new mesothelioma immunotherapy treatments in the pipeline, there are more studies underway than ever. This means more opportunities for mesothelioma patients to get an early shot at cutting-edge therapies. You have the opportunity to try a new mesothelioma treatment. If that treatment is successful, you will be one of the first to benefit from it. The researchers who lead clinical trials are experts in cancer treatment. You’ll get the benefit of treatment by top medical professionals. During the clinical trial, the researchers will monitor your condition closely, which could help catch progression or changes in your mesothelioma early. In addition to the benefits to your health, your participation helps researchers develop new mesothelioma treatments. Your participation will benefit all mesothelioma patients. It’s your contribution to science. Clinical trials are part of the process to develop new cancer-fighting drugs. Research starts out with laboratory testing. If a drug shows promise, it progresses to human studies. These human studies are clinical trials. A mesothelioma clinical trial will have several phases. Initially, the researchers study a small number of participants to determine the best dose of the drug. This is a Phase I trial. In Phase II, the trial will enroll a larger number of patients to test the effectiveness of the drug and determine the side effects. In the final clinical trial before a drug can get FDA approval and go to market, researchers enroll anywhere from a few hundred to a few thousand mesothelioma patients to study how well it works across a larger population and to understand the full range of possible side effects. This is a Phase III clinical trial. A mesothelioma clinical trial may be funded by the government, a foundation grant, or the pharmaceutical company that will ultimately market the treatment. Researchers may be affiliated with universities, teaching hospitals, or private companies. 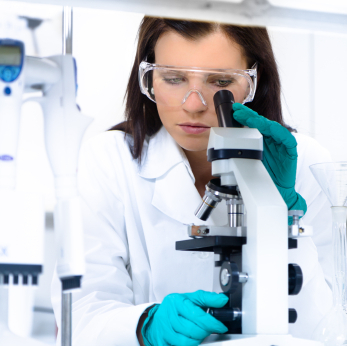 When you enroll in a mesothelioma clinical trial, you’ll receive the protocols for the research. This will tell you the clinical trial phase and what the study hopes to discover. The protocol also lays out the length of the clinical trial and what tests and treatments participants will have. Before you enroll in a clinical trial, make sure you get all the facts about the research. Some patients have received treatments during a mesothelioma clinical trial that has caused their tumors to shrink and their disease to stop progressing, but there are no guarantees. Research always carries uncertainty and scientists have not found a cure for mesothelioma yet. How Do I Find a Mesothelioma Clinical Trial? You can look for a mesothelioma clinical trial on the websites of National Cancer Institute or National Institutes of Health, which maintain lists of clinical trials. These lists include some private studies, as well as publicly funded clinical trials. Time and energy are precious commodities when you have mesothelioma. You might find it easier to use a clinical trial matching service. These services wade through the criteria of different studies and suggest clinical trials that are a good match for you. Some of these services charge a fee; make sure you understand the terms of service before you sign up to be matched with a mesothelioma clinical trial. The stage of your mesothelioma. Prior mesothelioma treatments. Some studies seek patients who have already tried certain treatments. Others want participants who have not received any mesothelioma treatment. Whether you are eligible for mesothelioma surgery or have had surgery. A study might want patients with a particular mesothelioma type (pleural, peritoneal, pericardial, or testicular) or a particular type of mesothelioma tumor (epithelioid, sarcomatoid, or biphasic). Characteristics about you might also be factors in your eligibility, including age, gender, and your overall health. Some studies exclude patients who have certain medical conditions that could cause complications with the treatment being tested. Your initial research might indicate that you are eligible for more than one mesothelioma clinical trial. Now you have a decision to make. Length of the study is an important factor in choosing a mesothelioma clinical trial. All participants in clinical trials have the right to drop out at any time. If the side effects of the treatment are too severe, you don’t have to continue. You can also drop out for other reasons, but you will help mesothelioma research the most if you are able to stay in the study for the full length of the clinical trial. Take the time to carefully consider this before you enroll. You might also factor in the location of the mesothelioma clinical trial and whether you would need to travel to another city for testing and treatment. Weigh these expenses against the potential benefit of the study. Remember, also, that your spot in a mesothelioma clinical trial isn’t certain until you have been accepted into that trial. You might need to have additional tests to determine your eligibility and researchers will probably want to do an initial examination to make sure you meet the criteria for the study. Work with your doctor to narrow your choices and focus on the studies that are the best fit for you. Medicare covers the medical expenses for many clinical trials. The Affordable Care Act requires insurance policies to cover most clinical trial medical expenses, but some older healthcare plans may be exempted from this rule. In addition, some studies may not qualify for coverage by your insurance. Most health plans will not cover expenses that are paid for by the sponsor of the clinical trial, particularly if the research is funded by a private company. Your travel expenses will probably not be covered by insurance. Check with your insurance company before you agree to participate in a mesothelioma clinical trial to find out what coverage they offer for medical costs related to the study.